The 1st contender is Bryce Montilla, a 2nd year college student taking up Hotel and Restaurant Management. She is a honor student and former president of supreme government in high school. The next contestant is Miyaka Dy San Pedro who studied BS elementary education and now works as an image stylist. Last but not the least is Kylie Lapida, an alumna of Tangos National High School. She is currently a comedy bar performer. Vice Ganda asked the contenders to check their buzzers if it is working. He then gave the question about tamarind. Kylie is the first one to press her buzzer and luckily, she gave the right answer and will advance in the next round. For the next question, Bryce beat Miyaka to press their respective buzzers then gave the correct answer. She will also advance in the 2nd round while Miyaka is eliminated. The hosts called Kylie and she shared about the hardships she experienced in the audition process. Her question then says; if destiny will make fun of you, will you laugh it off? Kylie answered that she will not be happy about it because the destiny once took her father that’s why he is the current breadwinner in their family. Bryce is the next one to be called and her question says; why does PAGASA guarding the upcoming typhoon even though it still enters the country? She stated that the agency is just watching the calamity for us to be ready and they cannot prevent it to infiltrate. 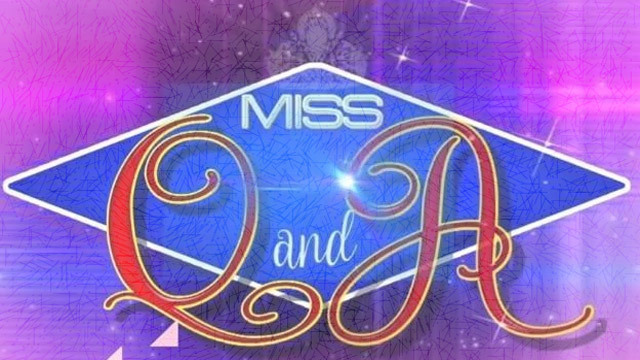 Based on their answers, the judges prefer Bryce and will compete with the reigning queen. Bryce and Yoniel are going to answer the same question that says; will you prefer to know your future? The daily winner said that she will choose to know her future so that she will be able to avert the tragedies that will happen. Yoniel is the last one to answer and she also choose to know her future but she believes that only God can dictate our destiny. After a deliberation, Bryce is announce as the new queen and will defend her crowd tomorrow.